Since first flying in 1929, this 90-year-old, multiple award-winning US airline has enjoyed an unrivalled reputation for service, timeliness and safety. Add a dash of Polynesian flair and mystique and you have an irresistible package. 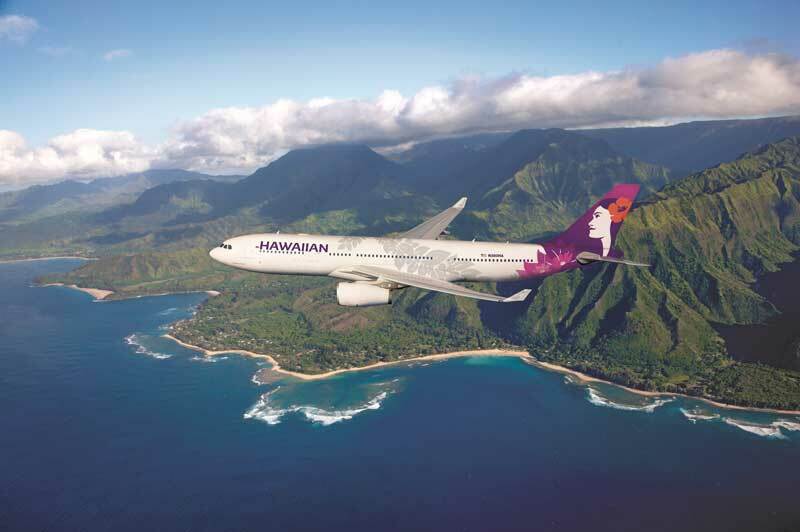 Hawaiian Airlines (HA) is linked to the Pacific just as with the first inhabitants of these glorious islands. Throughout their primary area of operations, HA operates a youthful fleet of 24 289-seat Airbus A330-200 and 11 (and counting) brand-new 189-seat A321-200neo aircraft serving nine international destinations throughout Asia and South Pacific including Auckland, Brisbane, Osaka, Pago Pago, Papeete, Sapporo, Seoul, Sydney and Tokyo. HA also serves 13 US mainland cities with non-stop flights between Honolulu and Boston, Las Vegas, Long Beach, Los Angeles, New York City (JFK), Oakland, Phoenix, Portland, Sacramento, San Diego, San Francisco, San Jose and Seattle. As you read this, a modernisation and expansion program will see the much-acclaimed Boeing 787-9 Dreamliner aircraft enter the fleet beginning 2021 as well as additional A321-200neo. HA serves the entire Hawaiian Island chain with around 170 flights every day using smaller turboprop ATR aircraft. DID YOU KNOW: All HA aircraft have special native language names that are either constellations (as used by ancient Polynesians navigators) or indigenous flora and fauna. For example, if you are flying on the A330 ‘Hanaiakamalama’, it means ‘Southern Cross’. 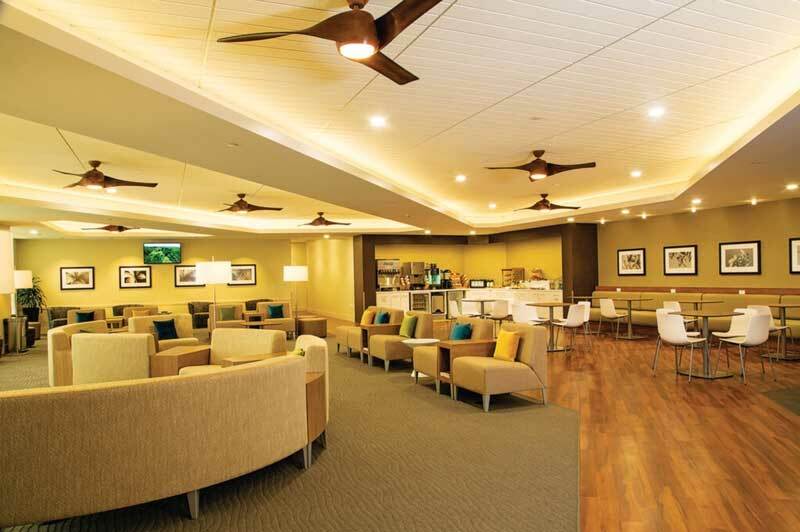 Located on the third floor in Terminal 1 of HA’s hub at Daniel K. Inouye International Airport (HNL), you’ll find the near-new Plumeria Lounge. There’s complimentary access for Business Class guests travelling on international flights where you can enjoy snacks and beverages, including La Tour Café’s fresh pastries and Maui Brewing Co’s craft beer. The decor is predominantly warm neutrals and wood tones, reflecting contemporary Hawaii with themes based around this essential flower. The Plumeria is the flower used in the HA logo and traditionally worn behind the ear. Unlike many other airline lounges, economy passengers can purchase access from as little as US$30 depending on your ticket class. The lounge opens at 09:00 every day and closes at either 18:00 or 21:30 depending on departing flights. At this end, Business Class will share The Strata Lounge in Auckland, Plaza Premium in Brisbane and Qantas’ Business lounge in Sydney. 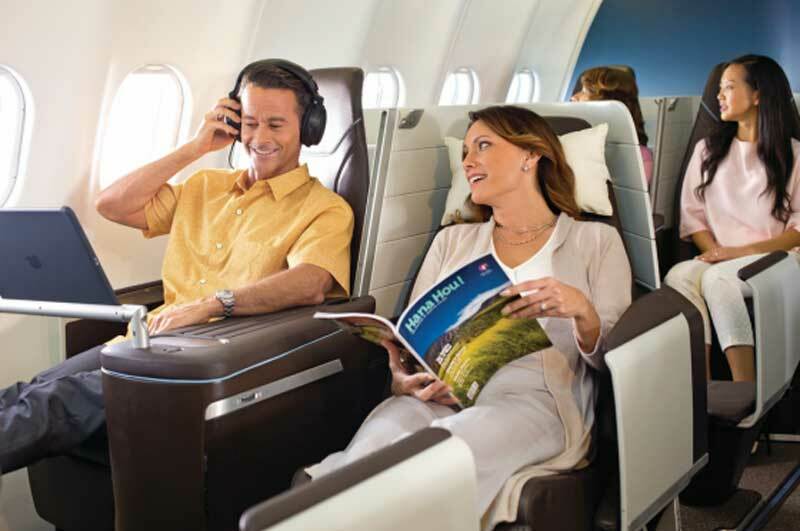 As an enhancement to regular economy, HA offers what they call ‘Extra Comfort’, a consistently popular choice with Australian and NZ customers flying to the islands. For a relatively small additional charge, you can enjoy such niceties as 127mm extra legroom, priority security and boarding, a personal power outlet, on-demand in-seat entertainment and an amenity kit. 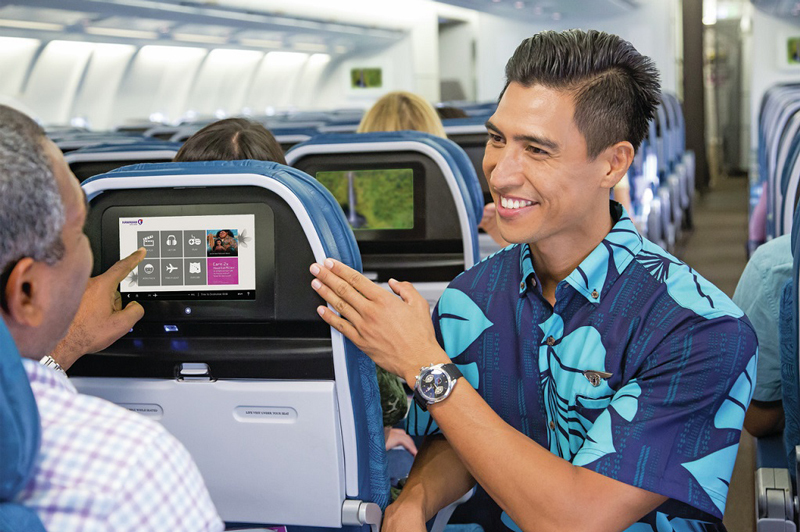 In Business Class there’s lie-flat seating, express check-in and boarding, lounge access, exclusive Sig Zane amenities, entertainment on next-generation large-format tablets as well as Hawaiian’s award-winning Regional Cuisine and unlimited inflight beverage service. Out of Australia, all passengers can check-in two whopping 32kg cases at no extra charge and carry on an 11.5kg case (within size limits) as well as a ‘personal item’ such as a handbag, purse or small backpack. 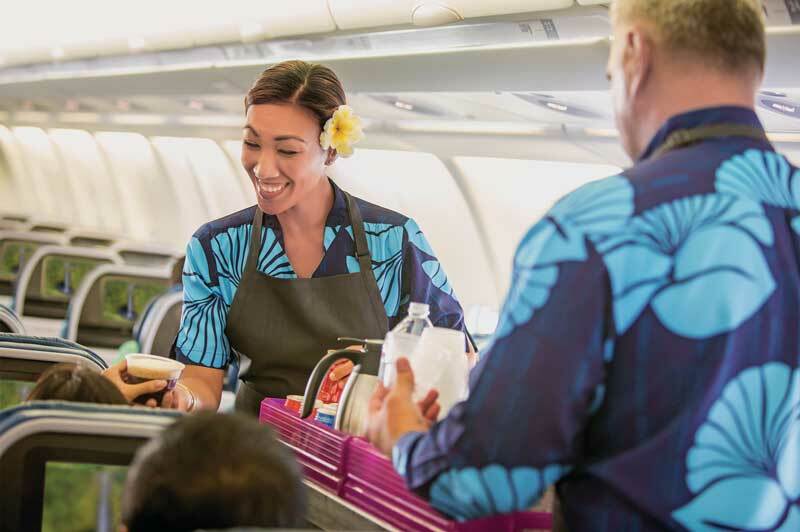 In true ‘aloha’ tradition, Hawaiian Airlines call their signature onboard hospitality ‘mea ho'okipa’ (meaning: I am your host), a principle that saw HA clean sweep TripAdvisor Travelers’ Choice Awards in 2018. 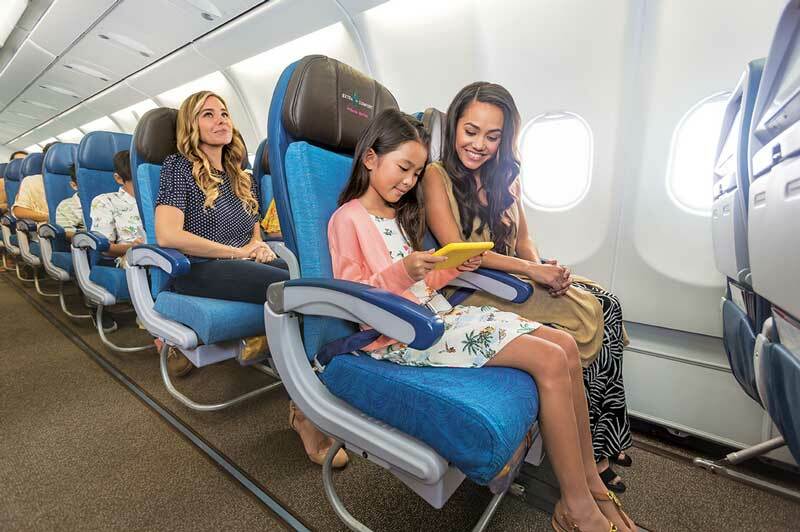 Find great current offers flying with Hawaiian Airlines in Economy, Extra Comfort and Business class.